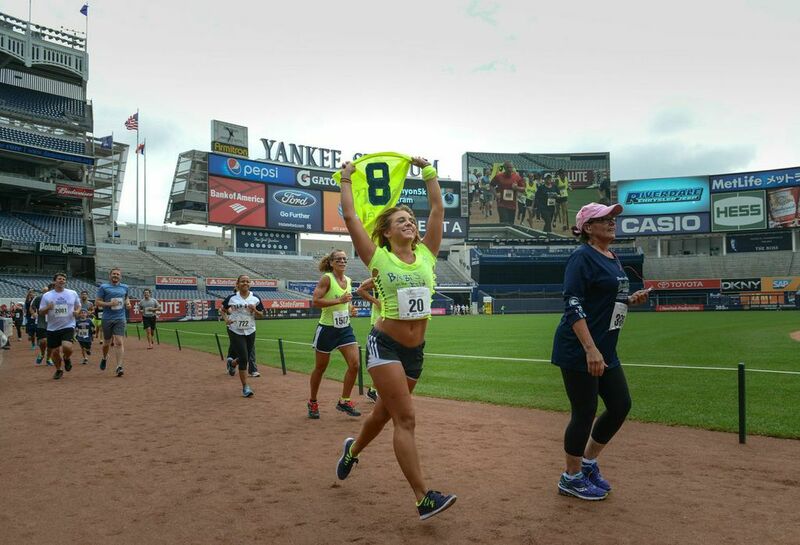 Today’s 6th Annual Runyon 5K at Yankee Stadium raised more than $500,000 for cancer research, according to Damon Runyon Cancer Research Foundation officials. The course went through Yankee Stadium’s concourses and ramps. All participants were shown on the centerfield video board as they ran or walked two laps around the warning track that circles the field. Friends, family and supporters were able to watch the race from the Delta SKY360° Suite overlooking home plate and meet Damon Runyon scientists.